Word from the CPU grapevine is that Intel is turning up the dial another notch on its processors, with the introduction of Core i9 models as a new high-end option. Previously, as you’re most likely aware, Intel has offered its Core family in increasingly powerful i3, i5 or i7 flavors. Core i9 would, of course, be the logical next step. According to the leak from an Anandtech forum member, the new offerings will comprise of four Skylake-X processors and a pair of Kaby Lake-X CPUs. If this information is correct, the top-of-the-range model will be the Core i9-7920X which will have 12-cores (24-threads) and a TDP of 140W (the spilled details – some of which come from a marketing slide, interestingly enough labelled as ‘high-end gaming’ Core-X processors – didn’t mention the clock speed for this chip). The next CPU down will be the i9-7900X which will sport 10-cores with a base clock speed of 3.3GHz and Turbo up to 4.3GHz (with Turbo 3.0 to 4.5GHz – meaning a single core can be boosted further to this speed, thermals willing). Some impressive clock speeds indeed for a chip with so many cores. Then the 7820X will be an 8-core model (3.6GHz with Turbo to 4.3GHz), and the 7800X is the 6-core variant (3.5GHz/4GHz). All have a TDP of 140W and support quad-channel DDR4-2666 memory. There will also be a pair of Kaby Lake-X models as mentioned, which will be quad-core: the i7-7740K (4.3GHz/4.5GHz) and the i7-7640K (4GHz/4.2GHz), both with a lower TDP of 112W. All these chips should be officially revealed at the end of the month at Computex, and they will be available in June – except for the top-end Core i9-7920X which reportedly won’t emerge until August. Pricing will of course be key here, especially coming after AMD’s launch of Ryzen processors earlier this year, but you’re obviously going to pay a premium for Core i9, particularly the beefier offerings. 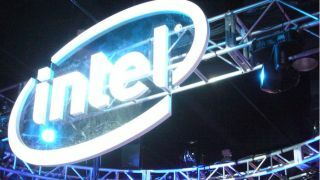 The latter are likely to be eye-wateringly expensive, as ever with Intel’s very fastest enthusiast-targeted chips. It’ll definitely be interesting to see how these CPUs actually perform, and whether the introduction of the Core i9 tier is truly indicative of a major performance boost. But assuming this leak is on the money with the specs, these could be very potent introductions indeed. Intel vs AMD: which chipmaker offers better processors?